Recently on WOOOOO! Nation, two-time WWE Hall Of Famer Ric Flair talked extensively about his WrestleMania 18 match with The Undertaker. 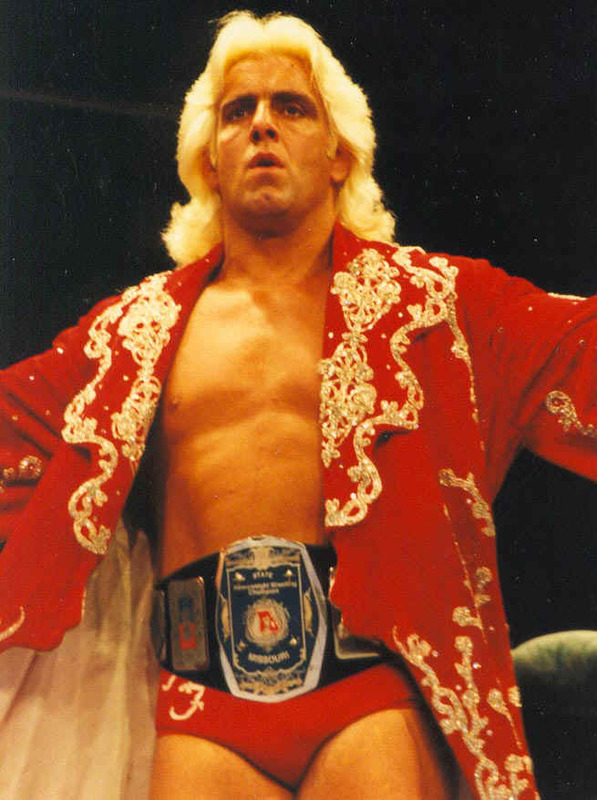 When Flair returned to WWE in the fall of 2001, he was not going to be used as an in-ring performer. A couple of months later, Flair would find himself in a street fight with Vince McMahon at the Royal Rumble pay-per-view. According to Flair, The Undertaker asked to work with him at WrestleMania a few weeks later and Triple H broke the news to him shortly thereafter. When asked whether Flair prefers the somber ‘deadman’ version of The Undertaker or the Limp Bizkit loving Bikertaker, Flair went with the former. Unlike Flair’s WrestleMania 8 contest with ‘Macho Man’ Randy Savage, which took days to orchestrate, Flair said that he and The Undertaker, along with Michael Hayes and Arn Anderson, worked out the match the day of WrestleMania and most of it was called in the ring. Although Flair admitted that he would have liked to have wrestled ‘The Phenom’ when ‘The Nature Boy’ was in his prime, he acknowledged that the two of them put on “one hell of a match” together, nonetheless, and that The Undertaker selling Flair’s offense made all the difference. According to Flair, he was paid in Canadian dollars for WrestleMania 18, which was broadcast live from Toronto, Canada. In addition to addressing his WrestleMania 18 match with The Undertaker on this podcast, Flair discussed his WrestleMania 8 bout with Savage. Click here to check out the podcast. If you use any of the quotes from this article, please credit WOOOOO! Nation with an H/T to Wrestling Inc. for the transcription.